Researchers identify precision medicine, suppressor gene for acute myeloid leukemia. Chromosomal alterations and deletions are often observed in cancers. Recurrent genetic losses are thought to contribute to disease processes through deregulating critical cellular programs that govern proliferation and differentiation. However, even though these genetic alterations can be clinically identified, researchers often do not fully understand which genes are responsible for driving a particular malignancy. Now, a study led by The University of Texas MD Anderson Cancer Center has identified a protein-coding gene, called hnRNP K, as a tumour suppressor for acute myeloid leukemia (AML). The team state that their finding could be important for investigating how best to target treatment of a blood cancer striking mostly older individuals. The opensource study is published in the journal Cancer Cell. Previous studies have established that 9q deletions are recurrent abnormalities in myeloid neoplasias and are present in 2% of acute myeloid leukemias (AMLs); however, which genes are responsible for the pathogenesis of this disease remains unclear. In a subset of AMLs harboring 9q deletions, the 9q21.32 locus is specifically lost, suggesting a tumour suppressor resides at this locus and its haploinsufficiency contributes to disease progression. An earlier study mapped six possible candidate genes to the minimally deleted region (MDR) of chromosome 9q21.32. Of these six genes, the DNA and RNA binding protein, Heterogeneous Nuclear Ribonuclear Protein K (HNRNPK), was identified as a potential tumour suppressor. The lab state that their data implicates hnRNP K in the development of blood disorders and suggests it acts as a tumour suppressor. Both in vivo and in vitro results indicate that hnRNP K achieves this through regulation of key genetic pathways. The current study found that hnRNP K expression must be maintained for proper cellular regulation and to prevent tumour formation and expression of the protein-coding gene hnRNP K is significantly reduced in AML patients who carry a specific genetic deletion. 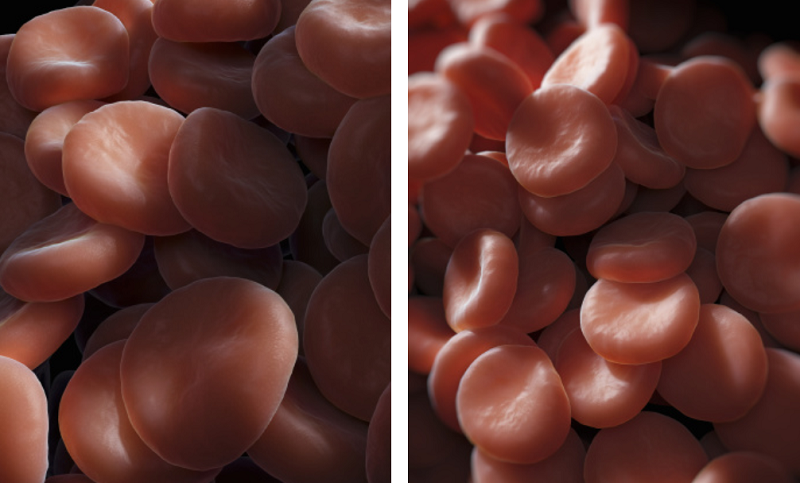 The current study used a mouse model and cell lines to show that reduced hnRNP K levels were associated with blood cancer. The results show that AML patients who carried a partial deletion of chromosome 9 also experienced a significant decrease in hnRNP K expression. Data findings show that this deletion, 9q21.32, along with the decreased levels of hnRNP K, led to reduced survival and increased tumour formation. The group conclude that HnRNP K was found to be haploinsufficient, in that it contained a single functional copy of a gene not capable of maintaining normal cellular function and leading to disease development. The team surmise that their findings showed that hnRNP K haploinsufficiency led to tumour development by deregulating cell proliferation and differentiation programs through control of key cellular pathways. They go on to add that it is clear that these changes in AML patients with the 9q21.32 deletion resulted in a tumour suppressor gene involved in blood cancer development. For the future, the researchers state that these pathways may be exploited by targeted therapies. © copyright 1999-2015 Getty Images. All rights reserved. Neuroimaging study begins to map alterations in human brain connections for severe schizophrenia. New 3D atlas of human embryonic growth clears up many misconceptions on development. Study verifies long-standing hypothesis that glutamate is brain's energy-source.